Beautiful bracelet makes a great gift for any special occasion. 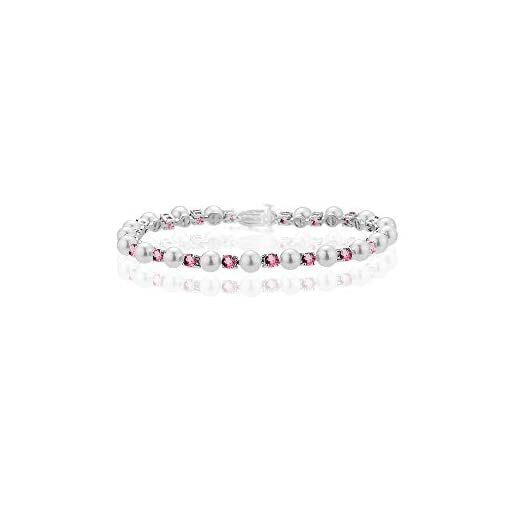 The bracelet has AA quality sparkling Pink Tourmaline gemstones accented with Akoya Cultured Pearls. The Box Catch with Hidden Safety Claps is easy to wear and keeps the bracelet secure. The bracelet is 7.50 inches in length.